Looking back at California Almonds’ mandatory pasteurization program and what’s next in food quality and safety. Almond Board of California (ABC) tackled food safety head-on in the wake of emerging Salmonella concerns in the early 2000s. Conventional wisdom of the time suggested that low-moisture foods like almonds presented a minimal threat, but rather than simply accepting this, ABC engaged in research to better understand the risks. The resulting best practices and groundbreaking mandatory pasteurization program developed by ABC remain the gold standard for other sectors—and drive continued food safety and quality efforts for California Almonds. In 2017, ABC marked the 10-year anniversary of its mandatory almond pasteurization program – and, most importantly, 10 years free of Salmonella recalls and outbreaks attributed to California Almonds. The almond industry is proud of its unified efforts over the last decade, as well as the food safety record we’ve been able to achieve. However, the work to protect and improve food safety and quality continues. Looking back at our initiatives and successes reminds us of how important this work is and drives our exploration of what’s next. Outbreaks of Salmonella in 2001 and 2004 raised questions and concerns about food safety and quality across industries. For California Almonds, one of the biggest challenges was determining the true level of risk. The easy answer seemed to be that risk should be low, that, based on accepted conventions of the time, pathogens should not be able to grow in almonds and other low-moisture foods. However, ABC investigated further and quickly realized that the pathogen could present a problem. The organization decided to take action and tackle Salmonella and other potential threats. In collaboration with food safety experts and research partners, ABC began research in 2001 to better understand the prevalence and concentration of contamination in almonds, conducted in tandem with efforts to develop strategies for contamination control. ABC was able to gather enough survey data over the course of several years to show that Salmonella was indeed present in about 1% of the almonds tested at very low concentrations. This data was fed into ABC’s risk assessment work, which enabled identification of appropriate performance criteria for ensuring consumer safety (>4-log reduction). At the same time, ABC also worked to identify effective processing technologies and the best means of validating them. A technical expert review panel was assembled to help ABC develop a plan, assess research needs, establish standards and create guidelines for the industry. Extensive work went into determining how to validate equipment, including the determination of an appropriate surrogate (non-pathogenic microorganisms) that could be used in lieu of Salmonella in the plant. Concurrently, researchers worked to determine the specific time and temperature combinations needed for a >4-log (and 5-log) reduction for a range of pasteurization processes, including oil roasting, blanching and dry roasting, some steam processes and PPO processing. ABC and partners invested significant time and effort into this research, which culminated in the development of the groundbreaking mandatory pasteurization program for Salmonella reduction, and validation guidelines. Voluntary compliance with the pasteurization program began in 2004, well in advance of September 2007, when it became mandatory. By that time, pasteurization was established as the industry norm and laying the groundwork for ongoing food quality and safety efforts. Today, ABC has more than 1 billion pounds of validated pasteurization capacity for processes that maintain the raw characteristics of almonds, including steam, moist heat and propylene oxide (PPO). It also has close to 1 billion pounds of validated capacity for processes such as dry roasting, oil roasting and blanching. All reduce the level of potential contamination in almonds without diminishing the product’s quality, nutritional value or sensory qualities (taste and crunch). ABC also developed a comprehensive round of updates to recommended food safety practices, creating a powerful program with tools that help growers and processors achieve their desired results. These tools include Good Agricultural Practices, Good Manufacturing Practices, HACCP guidelines and Pathogen Environmental Monitoring resources. In total, ABC has made a $5 million investment in food quality and safety research and validated more than 200 treatment processes, to date. It remains committed to this mission, maintaining close connections with the scientific and regulatory communities to stay current on food safety in the broader context as well as issues specific to California Almonds. All relevant insights and information are disseminated to growers and processors in the form of clear, practical resources, including print publications and digital communications, and workshops and one-on-one field trainings. The mandatory pasteurization program is now well established, but it isn’t static – ABC continues to stay on top of the latest methods, regulations and needs impacting California Almonds. Industry investment continues to increase, particularly in processes that maintain the raw characteristics of the product. And, while much information regarding processes and technologies are company-specific and confidential, equipment manufacturers continue evolving and growing their offerings, with a particular focus on maximizing almond quality and throughput. On the regulatory side, FSMA continues to roll out for growers and processors. ABC helps growers and other stakeholders understand which rules apply, what actions to take to ensure compliance and when specific requirements come into effect for different operations, with FSMA-related resources, Preventative Controls and Produce Safety trainings and timely information available online. Many processors and non-farm huller/shellers started 2018 already meeting FSMA Preventive Control requirements, but the number of impacted orchards and huller/shellers expanded in January as the Produce Safety rule came into effect. At this point, the almond industry and the larger community of food and beverage industries have had time to assess the impact on their stakeholders and take action to ensure FSMA compliance. 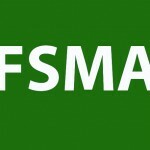 FSMA reflects the evolving role of FDA in ensuring food safety. Traditionally, FDA has taken a reactive approach to food safety. The agency now has the authority to investigate farms and facilities regularly to ensure food safety regulations are followed. For the first time, growers and huller/shellers falling under the farm definition may be audited by FDA or FDA-designated agencies. While some growers may choose the exemption option, ABC encourages almond growers to understand the rule’s requirements and develop food safety plans appropriate to their farms. 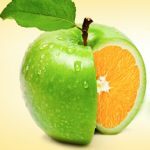 It will be new and uncertain territory for some, but with the FDA’s proactive approach, staying ahead of the curve on food safety and quality will be beneficial. Currently, almonds are the only tree nut with a mandatory pasteurization program and defined performance criteria accepted by FDA. They have paved the way for validation of other tree nuts, and those industries should also consider implementing appropriate preventive controls for Salmonella. ABC’s work can be considered a road map for other nuts and low-moisture foods, but what works for almonds will not always work for other foods. Research specific to each type of nut needs to be conducted to uncover pathogen prevalence and concentration, as well as pathogen/surrogate resistance to various processes. We will continue to be proactive, as well, evaluating current practices and engaging in research to improve how we understand and control microbial contamination in almonds. Even with a track record to take pride in, the responsibility and work of food quality and safety never end. We will continue to update and evolve programs, not only as a function of compliance, but to protect the almond customers who support us every day. 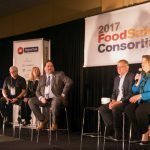 Attendees and industry leaders came together to talk strategy and learn about the latest developments in food safety. 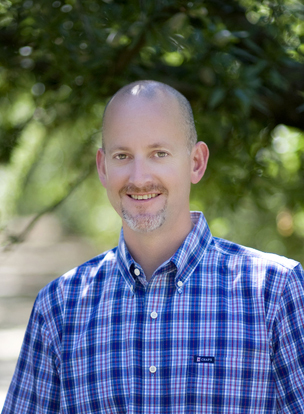 Tim Birmingham is the director of quality assurance & industry services for the Almond Board of California. He can be reached at timbirmingham@almondboard.com.